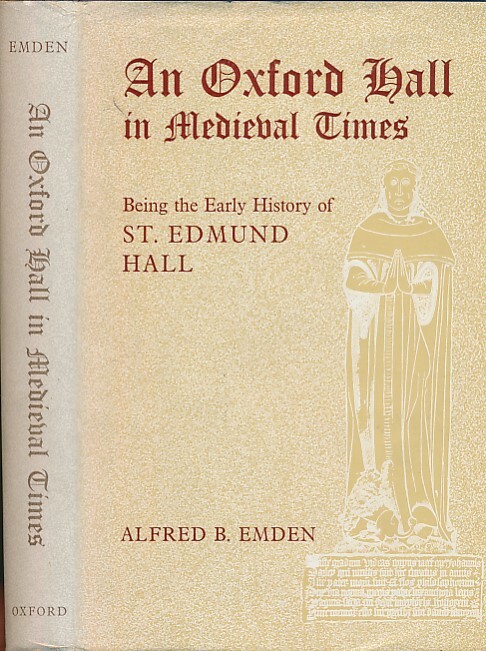 Barter Books : Emden, Alfred B : An Oxford Hall in Medieval Times. Being the Early History of St Edmund Hall. Signed Copy. 220 x 160 mm (9 x 6 inches) - vii, 486p. Signed by author at front end paper.